Pinot Blanc (known in Italy as Pinot Bianco) is the result of a genetic mutation of the Pinot Noir grape. The French versions, from Alsace, are creamy-textured, while those from Italy have a higher acidity with soft citrus flavors. Other flavors in this full-bodied, dry white wine include stone fruits, citrus, melon, pear, and even a hint of smokey undertones. Varietally pure blends (100% Pinot blanc) feature stronger floral characteristics. Pinot blanc grows throughout central and eastern Europe, and in the United States, where it is made in the French style and is primarily grown in California. 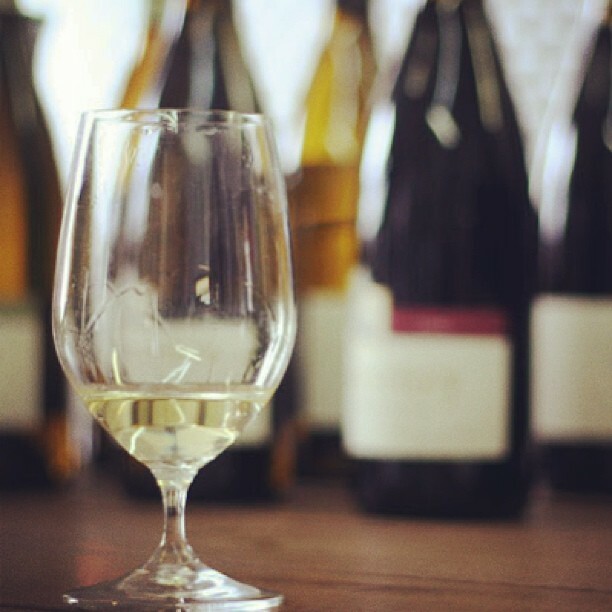 It’s often confused with Chardonnay, can be similarly oaked, though it is typically made for immediate consumption rather than aged in barrels as many Chardonnays tend to be. Because Pinot blanc achieves a middle ground between acidic and pungent, it works well with light savory dishes, such as chicken or flaky white fish, as well as creamy pasta, and cheese- or egg-based dishes, such as quiche. It also pairs well with most soft cheeses, like Colby, feta or Brie.